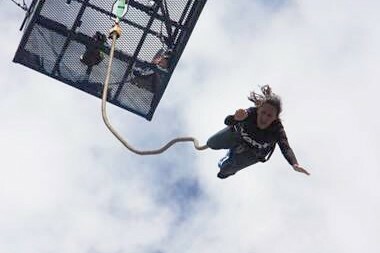 Natalie Salunke, Kent alumna and Chair of the Kent Law Campaign Young Alumni Group, jumped off a 160ft crane on Saturday 25th July in aid of raising money for the Kent Law Campaign. The 160ft crane bungee jump, organised by UK Bungee Club, took place at the O2 Arena in London. Natalie was one of three Campaign supporters taking part; however Natalie completed a solo jump which took courage when facing the height at the top of the crane! To date she has raised £325.00 for the Campaign through this challenge. There is still time to show you support and congratulate Natalie by sponsoring her on her JustGiving page: www.justgiving.com/Natalie-Salunke/. Natalie has risen over £7.5k for the Campaign by taking part in a variety of challenges ranging from abseiling down the ArcelorMittal Orbit to skydiving; now she can add bungee jumping to her list. We would like to say a huge thank you to Natalie for her dedication, time and support over the years. This entry was posted in Campus online on 30 July 2015 by George Williams. 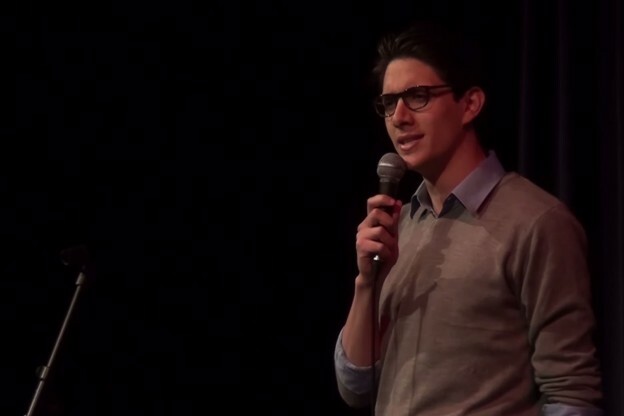 A TEDx talk by Alexander Stylianoudis, a Criminology and Sociology student, has been viewed online more than 10,000 times in less than a month. Alexander’s talk, which was part of the TEDx conference held in June at the Gulbenkian , attempts to justify big corporations that avoid paying tax. His talk, titled ‘Tax Avoidance: A Necessary Evil?’ highlights the positive impact these corporations have on society and how politicians could improve their popularity by pressuring corporations that avoid paying taxes. TED is a non-profit organisation devoted to spreading ideas, usually in the form of short, powerful talks (18 minutes or less). Talks cover almost all topics — from science to business to global issues — in more than 100 languages. Independently run TEDx events help share ideas in communities around the world. This entry was posted in Student Guide on 29 July 2015 by George Williams. 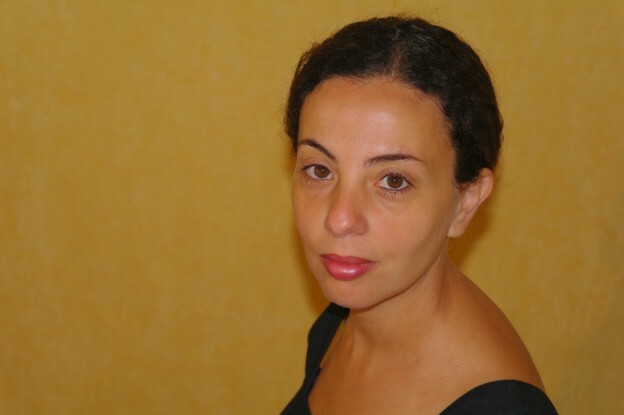 Dr Sophia Labadi from the Department of Classical & Archaeological Studies has been interviewed online by the European Cultural Foundation, one of the leading European institutions working on building an open, democratic and inclusive Europe in which culture is a valued and key contributor. In the interview, Sophia discusses the soon to be released French and updated version of her 2011 book Evaluating the Socio-Economic Impacts of Heritage-led Regeneration in Europe; the conclusions of this book, which call for a move away from over-optimistic evaluations of heritage-led regeneration projects in order to recognise that these projects are not necessarily only positive; her soon to be released co-edited volume on Urban Heritage, Development, and Sustainability (Routledge, 2015) continues the reflection started in her 2011 book alongside her recent contribution to a UNESCO policy on world heritage and sustainable development, which aims to propose concrete solutions to issues identified in her research. This entry was posted in Campus online on 29 July 2015 by George Williams. Between the 10th and 16th August 2015, as part of the ongoing works to the exterior of the Ingram building, the entrances to the Ingram and Stacey building which are beneath the link bridge between these two buildings will be temporarily closed. Please be aware that you will not be able to access the buildings at these locations during this period, but if you are in either building, these routes can still be used as a point of evacuation in the event of an emergency. An alternative temporary means of access to the NMR building will be maintained at all times throughout this period. Wherever possible directional signage, will be strategically placed on approaches to the site, giving alternative routes that can be taken during the course of this work. I thank you in advance for your anticipated co-operation, whilst this essential work is undertaken. Should you have any queries then please contact the Estates Helpdesk on 01227 823209. The University is once again participating in the Stonewall Workplace Equality Index, a tool used to evaluate workplace practices on sexual orientation equality. As part of this, all employees are invited to fill in a questionnaire giving feedback directly to Stonewall on your experiences working at Kent. The information you provide will of course be anonymous and will be sent directly to Stonewall’s Workplace Team. Once the data is collected and analysed, only the University of Kent’s average scores will be shared with us. https://www.kent.ac.uk/hr-equalityanddiversity/local/stonewallsurvey2016.html for instructions on how to access and complete the survey. The deadline for responses is 5pm on Friday 6 November 2015. Let’s talk about health research! Please save the date for the Centre for Health Services Studies’ Engagement with Health Research Event! This free, drop in event will be held on Wednesday 9th September from 11.30-2.00 at Westgate Hall, Canterbury, and is open to all. There will be talks, short films, activities and lots of opportunties to talk to researchers. A light lunch & refreshments will be provided together with the chance to win a £25 Love2Shop high street voucher – automatic entry to the draw upon arrival! Please register your interest by e-mailing engage-chss@kent.ac.uk or phoning 01227 823940. This entry was posted in Campus online on 28 July 2015 by George Williams. John Pearson, a Lecturer in Mathematics at SMSAS, has been awarded an IMA Leslie Fox Prize in Numerical Analysis at the 17th Leslie Fox Prize Meeting in Glasgow. In this competition two 1st and four 2nd prizes were given to scientists from Oxford, Cambridge, MIT, Telecom de ParisTech, and Kent John was awarded a 2nd Prize for his paper ‘Fast iterative solvers for reaction-diffusion control models of chemical and biological processes’. “The IMA Leslie Fox Prize for Numerical Analysis of the Institute of Mathematics and its Applications is a biennial prize established in 1985 by the IMA in honour of mathematician Leslie Fox (1918-1992). The prize honours ”young numerical analysts worldwide” (any person who is less than 31 years old), and applicants submit papers for review. A committee reviews the papers, invites shortlisted candidates to give lectures at the IMA Leslie Fox Prize meeting, and then awards First Prize and Second Prizes based on “mathematical and algorithmic brilliance in tandem with presentational skills”. On Wednesday 29th July (afternoon), Osbornes will be testing the fire alarm sounders in Cornwallis East. This will be an audible alarm and will only last for short bursts, but will continue throughout the afternoon. There will be no need to evacuate the building, unless the alarm is prolonged. We apologise for any inconvenience this may cause. Please contact the Estates Helpdesk on Extn 3209. 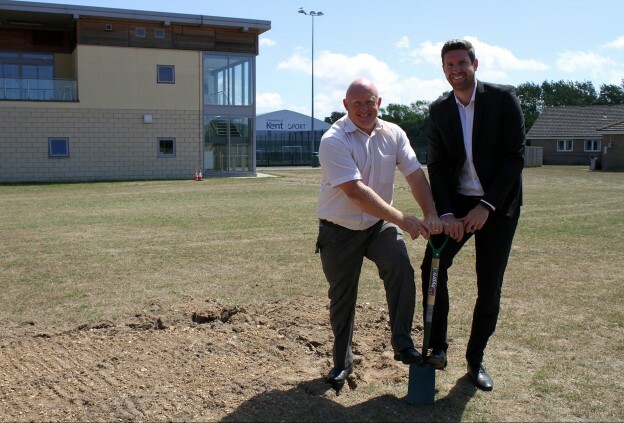 Kent Sport at the University will be providing students even more opportunity to participate in sport with the addition of a new world-class 3G pitch, as a part of its programme of ongoing sports facility expansion. The new 3G will enable back-to-back fixtures and training for rugby, football and American football with all year round playability overriding some of the constraints of grass pitches. It will also provide optimal playing conditions for matches from recreational to top-level rugby and football. The pitch development is starting at the end of July 2015 and will be available by January 2016. It is an eco-friendly solution re-using as many as 20,000 vehicle tyres in the construction materials. The 3G pitch is designed by Field Turf, has passed the strictest tests and provides the highest level of performance and safety for players. It will include a new spectator area and be fully flood lit. To achieve the quality standards required, Kent Sport selected the Vertex RGF, which is tested to FIFA and World Rugby standards. The pitch can be split to allow up to three simultaneous training sessions. The University is providing a large number of people from recreational users to elite athletes with the most up-to-date, professional-standard facilities. This entry was posted in Campus online, Student Guide on 27 July 2015 by George Williams.